A guided walking tour of modern and late modern architecture and design throughout the neighborhood of Oakland and the University of Pittsburgh campus. 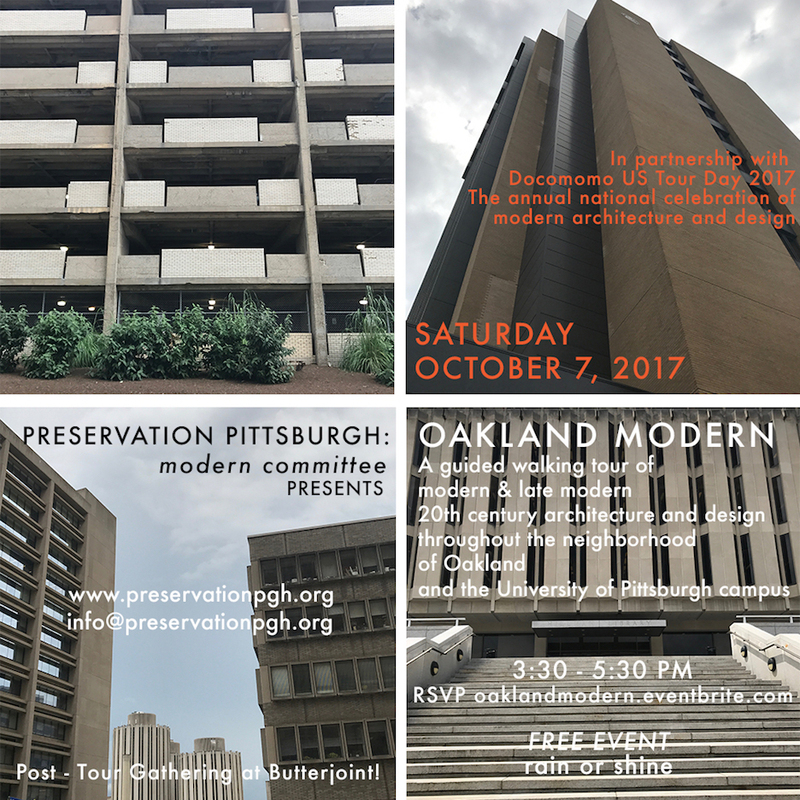 Join Preservation Pittsburgh and the organization’s Modern Committee (ModCom) on Saturday, October 7th to explore a range of modern and late modern structures and interiors. The Oakland neighborhood is home to a unique, dense collection of banks, apartment buildings, and campus facilities - from libraries to parking garages - completed in the 1960s and 1970s. Enjoy our original walking tour designed and led by Preservation Pittsburgh board members. The tour will end at 5:30pm at neighborhood favorite, Butterjoint, where guests can enjoy drinks and conversation with fellow architecture and design lovers. In partnership with Docomomo US Tour Day 2017, the annual national celebration of modern architecture and design featuring public tours and special programs across the United States.